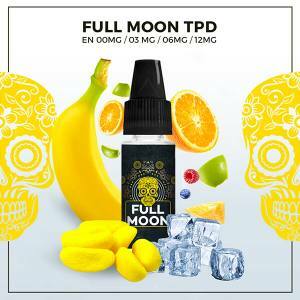 The famous Malaysian E Liquids for the Electronic Cigarette, Full Moon are available in a Mix 'n' Vape version. A 50ml twist format of e liquid boosted in Aromas and 0mg in Nicotine. All the range of the Full Moon proposes recipes typically Malaysian: Fruity, Fresh and Surprising! Varied Fruit Cocktails, associated with Pineapple and Lime for the Green. Grapes and Apple for the Blue etc.. Discover or re-discover the Full Moon Malaysian E Liquids to face the Summer season or simply by pure gourmandise.